← Research and Collections: How About Stewardship? No Food, No Drink, No Pests! When you visit the museum, you will notice signs that prohibit food and drink in the galleries, and you may be asked to eat in the designated areas. The main reason we are so careful about food and drink is that many objects in our museum are made of organic material (bone, hides, fur, feathers, etc.) that certain insects and mice (pests) love to eat! In nature, these pests help to break down organic matter, but in a museum, the damage they can inflict on specimens is irreparable. Many pests are attracted by the tiniest crumbs and food remnants. 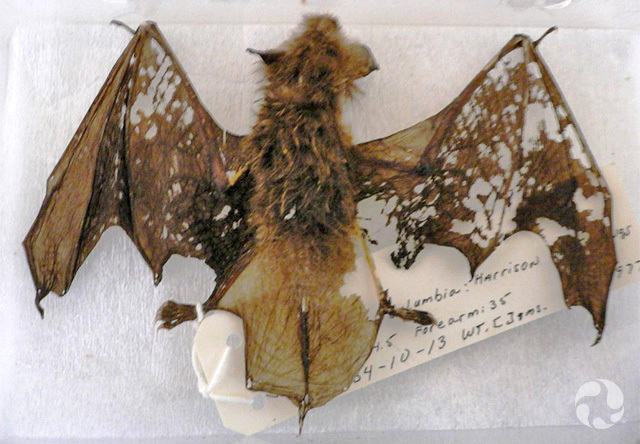 If these food sources happen to be in one of the museum’s galleries, there is a good chance that pests will find them. So, crumbs bring a problem: pests that may move on to sampling the specimens on exhibit once they have consumed the food that attracted them to the gallery in the first place. Even food-attracted pests that won’t damage our specimens (ants, spiders, flies, etc.) can become a problem because they themselves can become a food source for the pests that we ARE worried about. At the Canadian Museum of Nature, there are certain measures that we take to help with pest management. 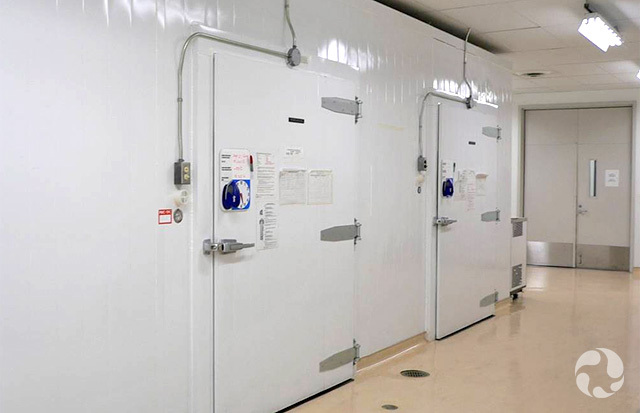 Before specimens are put on exhibit or returned to the collection, they are frozen in one of the museum’s huge, –40°C freezers for one week and then inspected. Freezing objects that have the potential for pest infestation kills any insects or larvae that may be present. Another very important preventative measure is to ask museum visitors to not eat in the galleries. A visitor’s compliance with this simple request helps ensure that our specimens will be on display for generations of museum-goers to enjoy. It is never good for pests to be in a museum, but it’s impossible to keep them all out! At the Canadian Museum of Nature, we run an integrated pest management (IPM) programme. Part of this programme involves placing pest traps strategically throughout the building. You may even have spotted one of them during a visit! 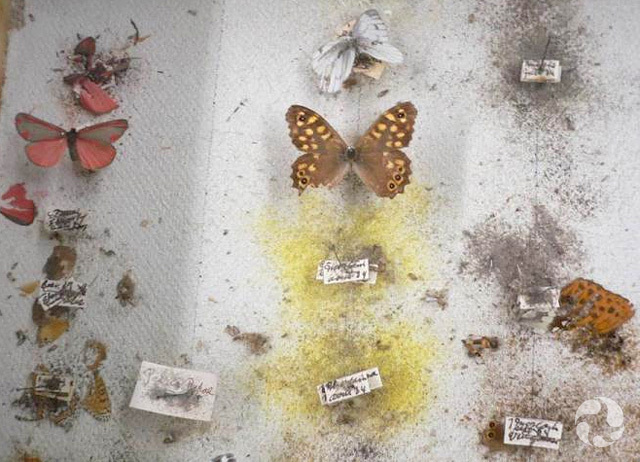 As conservation technicians, we monitor the numbers of different kinds of insects and mice living in the museum. It’s a big part of our job to inspect these traps regularly and keep tabs on who may be sharing our space. And you can help too! No food or drink is allowed in any of the gallery areas. The only exceptions are for special events, which are highly controlled by our Rentals and Events team. Please eat only in the designated areas (Nature Café, lunch rooms, outdoor terrace) and dispose of garbage and food waste in appropriate areas. Thank you. Your help is greatly appreciated! For more information about pest management at the Canadian Museum of Nature, please contact Laura Smyk: lsmyk@mus-nautre.ca. 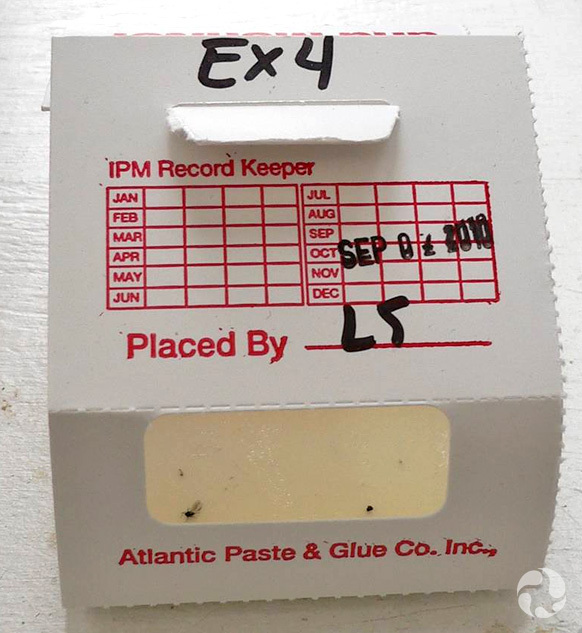 This entry was posted in Collections, Exhibitions and tagged Conservation, Pest Management. Bookmark the permalink. 3 Responses to No Food, No Drink, No Pests!